You have probably dealt with projects where a 35 mm DIN rail is the preferred platform for installation. 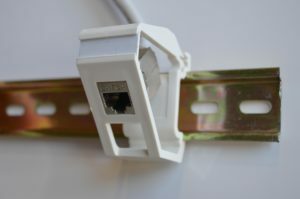 It used for small buildings or distribution cabinets for industrial and residential premises, where controllers, network connectors, electro and other technical components are required. But what to do if you need to install RJ45, LC Duplex and SC Simplex connections as well? In such cases, Premium-Line Systems offers a simple and convenient solution for cabinet and field installations. 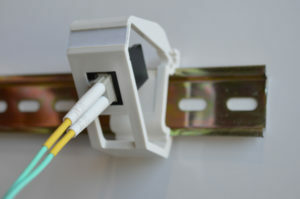 The DIN Rail Adapter is at your service. What to know! 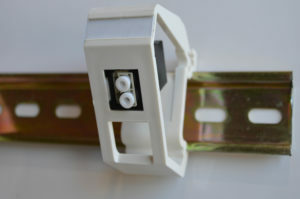 The classic DIN-rail was developed in Germany, where it quickly gained a high level of popularity and the status of the national standard of Deutsches Institut fur Normung. DIN Rail is currently popular solution worldwide.